I love handmade things. For me they are a real and direct connection to another person. 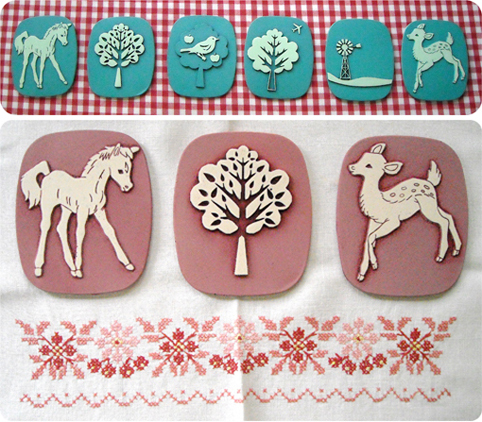 Apart from my painting, I make all sorts of things, mostly using inspiration from second hand or vintage finds. 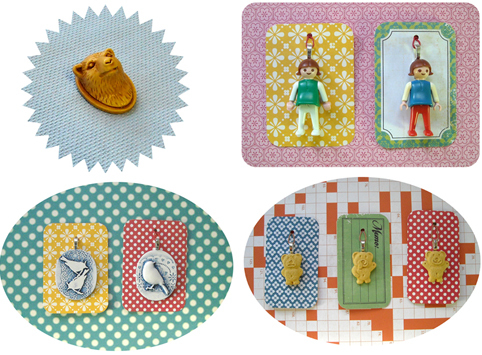 These are some pics of the kinds of things I make and the kinds of things that the ONCE SHOP will sell when it opens in 2013. These little guys are molded from a set of vintage brass plaques I found. I cant seem to find much information about their maker, or exactly when they were produced. Some sites say they are Art Deco, others say they are Victorian. You can buy the originals on ebay, Etsy and Gumtree. I just thought they needed to be remade in colour. 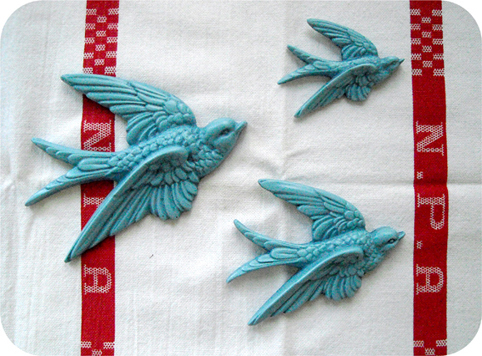 They are cast in a material called Jesmonite which is like a mix between resin and plaster. I add the coloured pigment to the material when casting and also rub oil paint into the object once it is set, to bring out the detail. I do so love the mosaic tiles - thank you.